Home > Kitchenware > Cookie Cutters > Kwik-Kut Chopper "Plain Blade"
Plain edge stainless steel blade with aluminum handle - 2-7/8" diameter, 3" high. Use to chop onions, egg salad, tuna fish, peppers, cabbage, collard greens, strawberries, what have you. 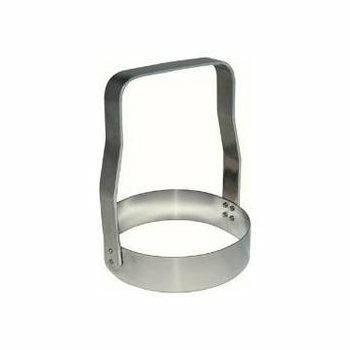 Also great for blending pastry or cutting biscuits or cookies.